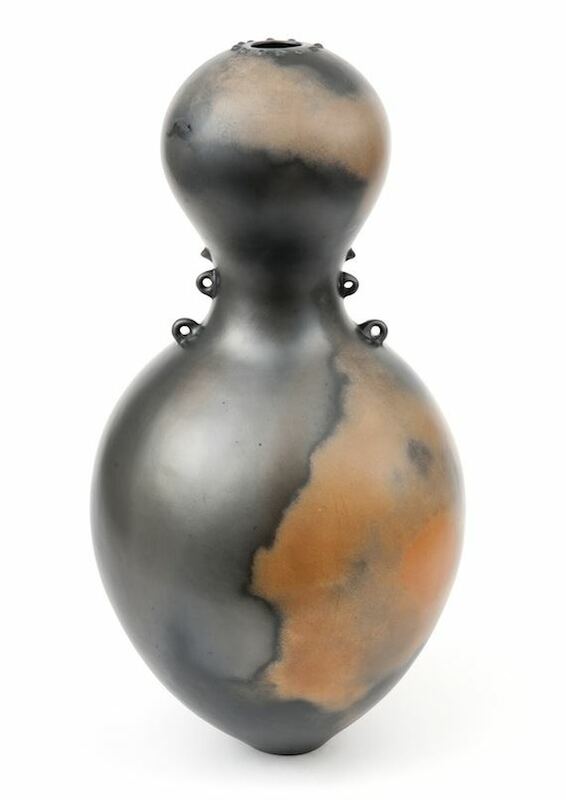 Magdalene Anyango Namakhiya Odundo, OBE (born 1950) is a Kenyan-born British studio potter. She was born in Nairobi and received her early education in both India and Kenya. She attended the Nairobi Polytechnic in Kenya to study Graphics and Commercial Art and moved to England in 1971 follow her chosen vocation in Graphic Design and completed qualifications in foundation art and graphics at the Cambridge College of Art. After a while in England she discovered pottery and in 1974-1975, she visited Nigeria, visiting the Pottery Training Centre in Abuja, and Kenya to study traditional hand-built pottery techniques. 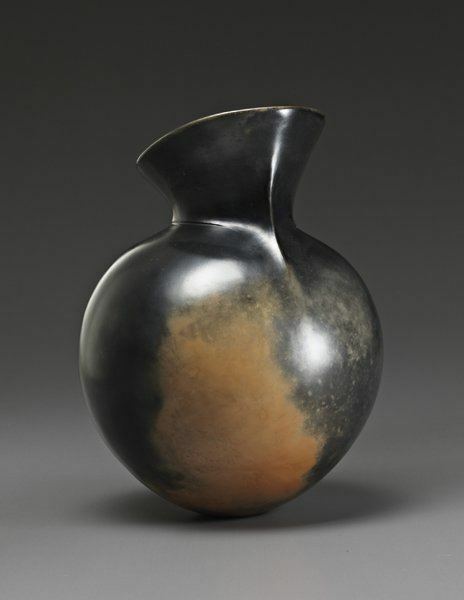 She also traveled to San Ildefonso Pueblo, New Mexico to observe the making of blackware vessels. 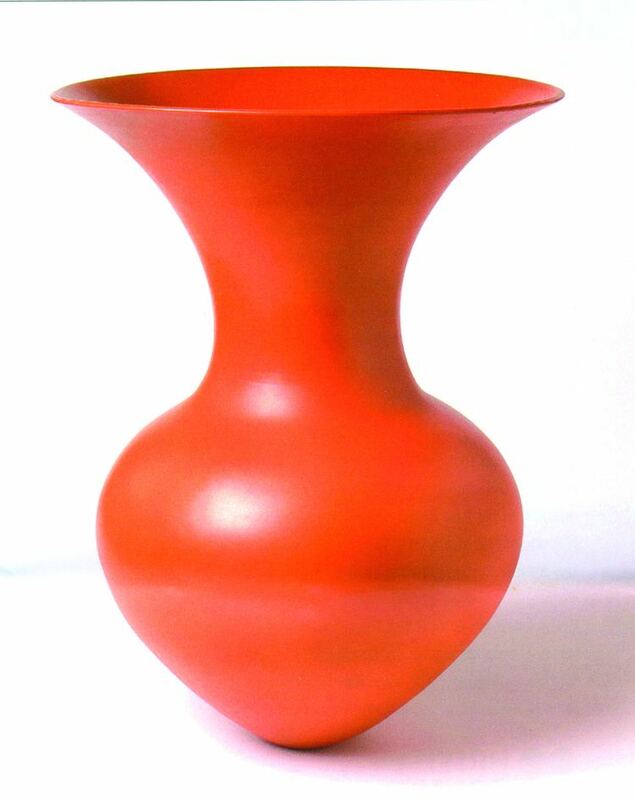 In 1976, Odundo received a BA from West Surrey College of Art & Design (now University for the Creative Arts). She then earned a master's degree at the Royal College of Art in London. She taught at the Commonwealth Institute in London from 1976 to 1979 and at the Royal College of Art in London from 1979 to 1982, before returning to teach at Surrey Institute of Art & Design (now University for the Creative Arts) in 1997, becoming Professor of Ceramics in 2001.. In March 2016 she was inaugurated as an Emerita Professor of UCA, with a celebration event held at the Farnham campus against the backdrop of her important work in glass, Transition II. She lives and works in Surrey. 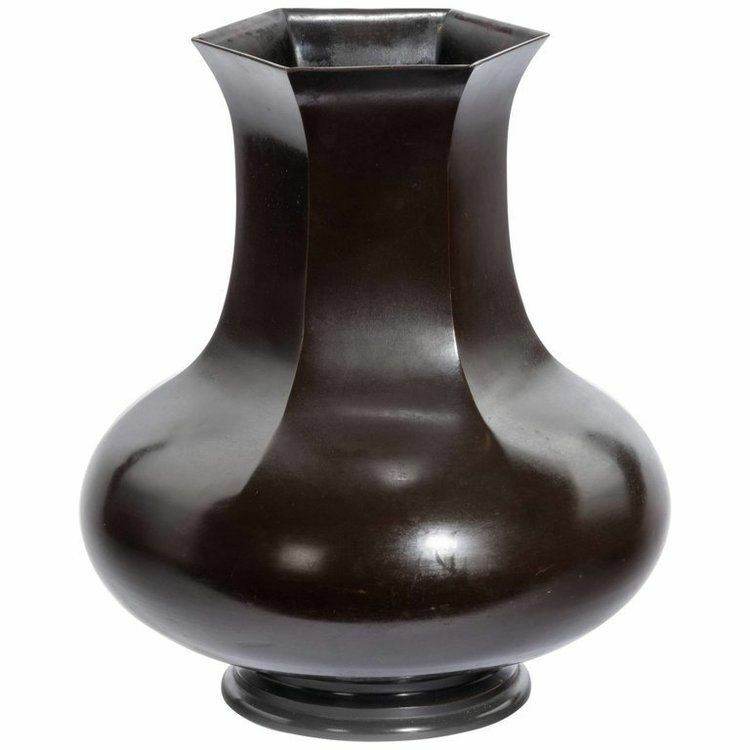 Odundo's best-known ceramics are hand built, using a coiling technique. Each piece is burnished, covered with slip, and then burnished again. The pieces are fired in an oxidizing atmosphere, which turns them a red-orange. A second firing in an oxygen-poor (reducing) atmosphere causes the clay to turn black; this is known as reduction-firing. She uses the same types of techniques used by the Ancient Greeks and Romans and likes to take inspiration from countries like China and Mexico. Her graphic design skills still remain with her as she often sketches her interest in natural forms and the design of form to help her with her ceramic creations. 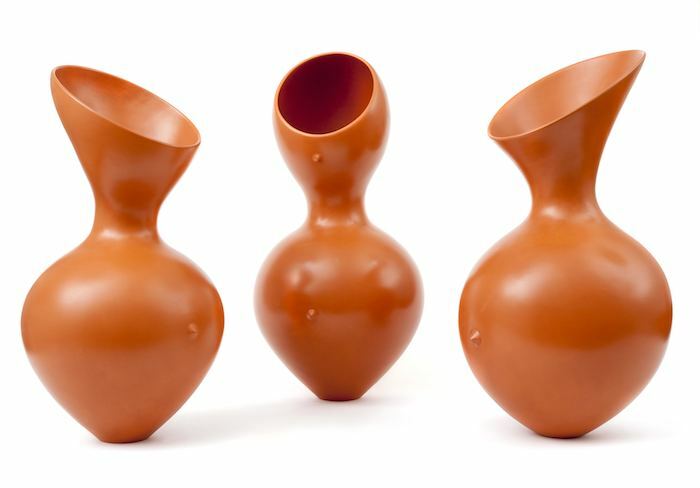 Many of the vessels Odundo creates are reminiscent of the human form, often following the curves of the spine, stomach, or hair. Her work may be found in museum and private collections worldwide. 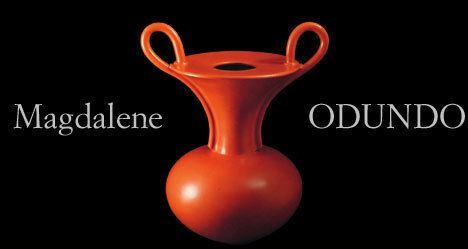 Odundo was awarded the African Art Recognition Award by Detroit Institute of Arts in 2008, and the African Heritage Outstanding Achievement in the Arts award in 2012, together with honorary doctorates from the University of Florida (2014) and University of the Arts London (2016). She was appointed an Officer of the Order of the British Empire (OBE) for services to Art in the Queen's Birthday Honours 2008. 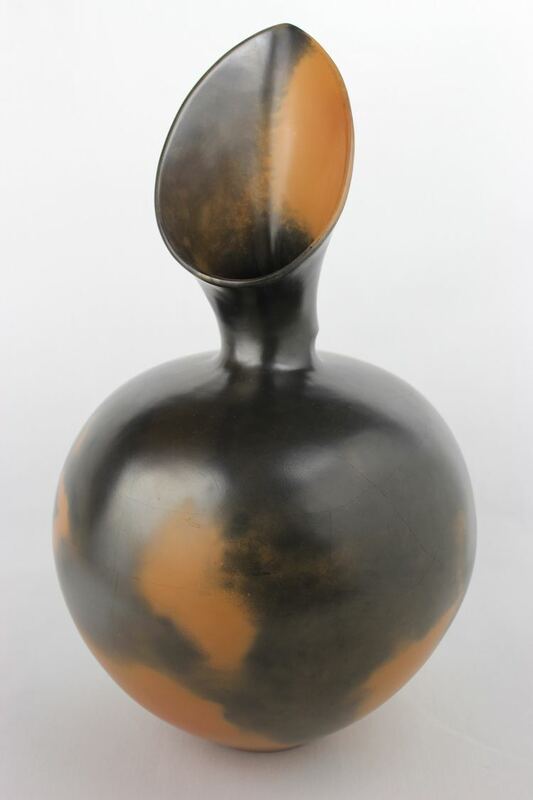 Magdalene Odundo is represented by Anthony Slayter-Ralph gallery.